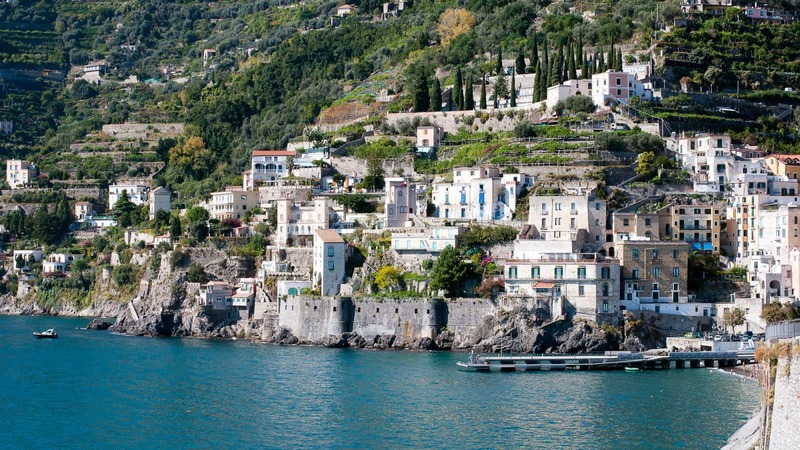 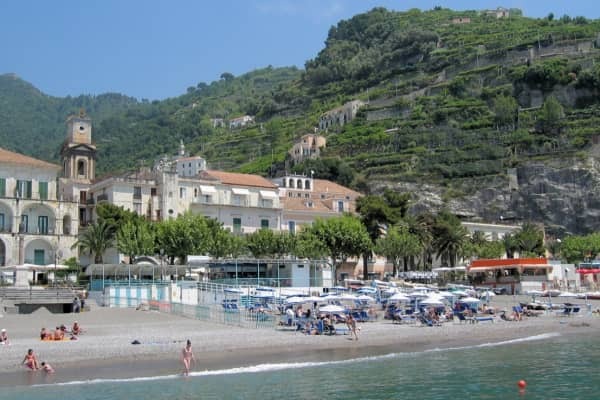 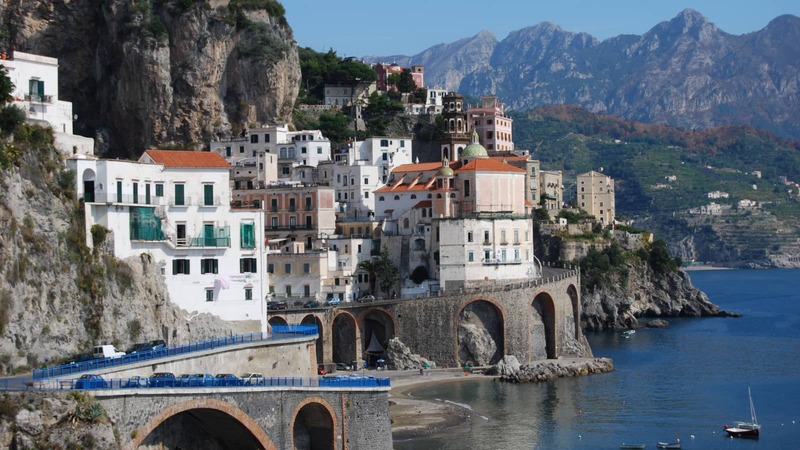 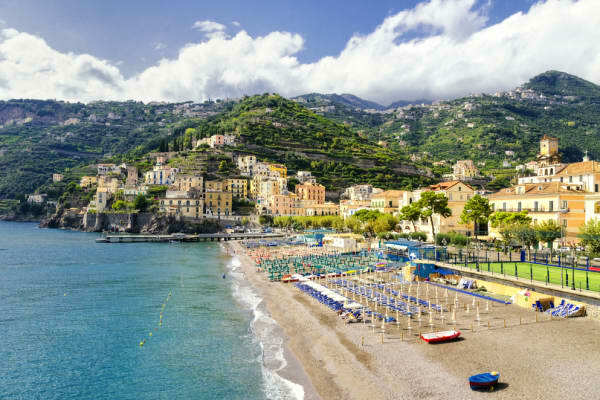 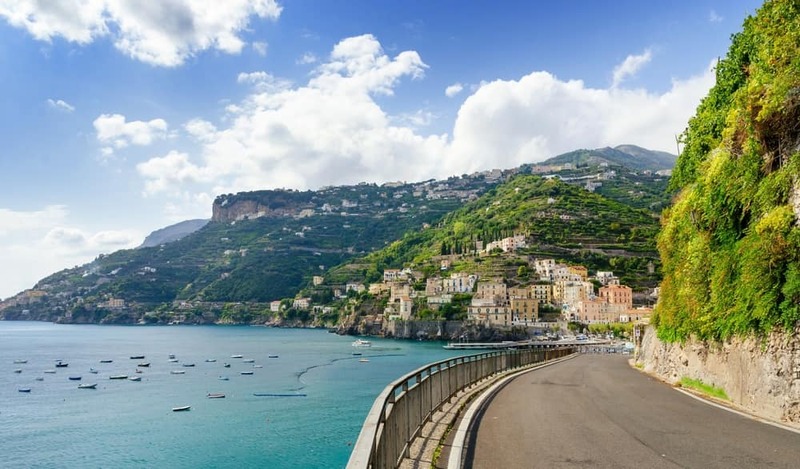 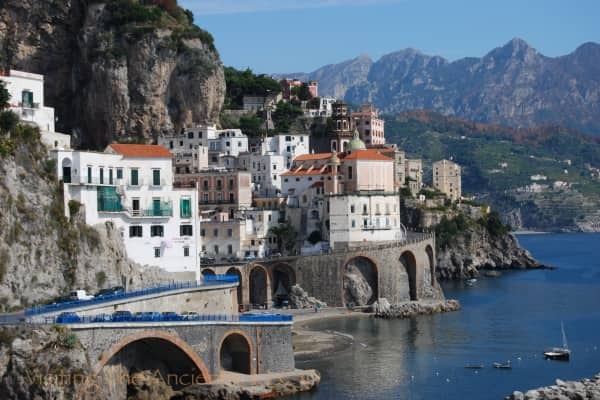 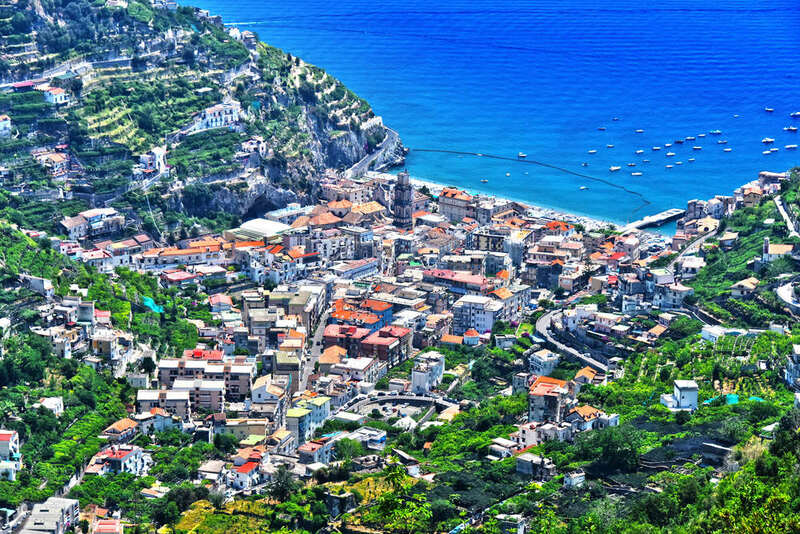 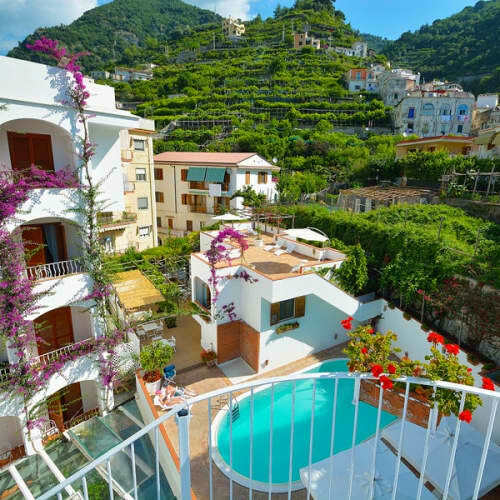 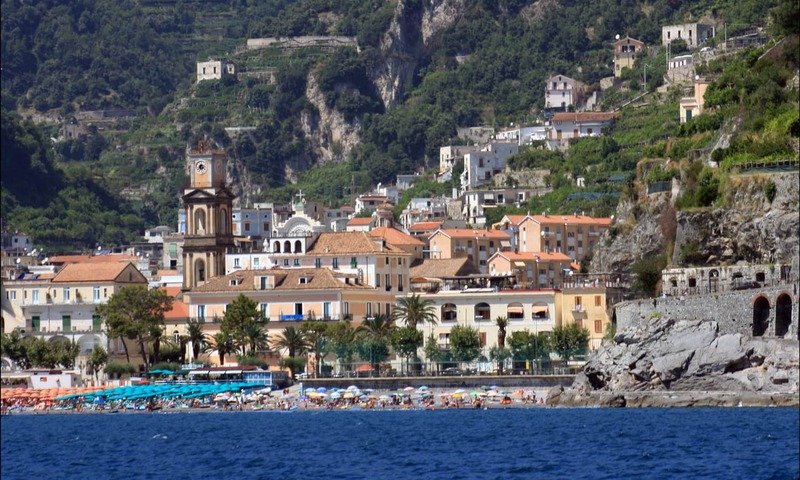 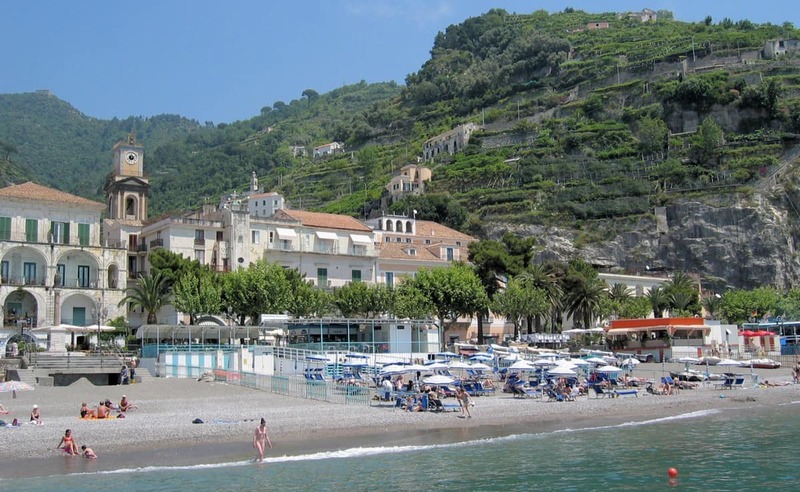 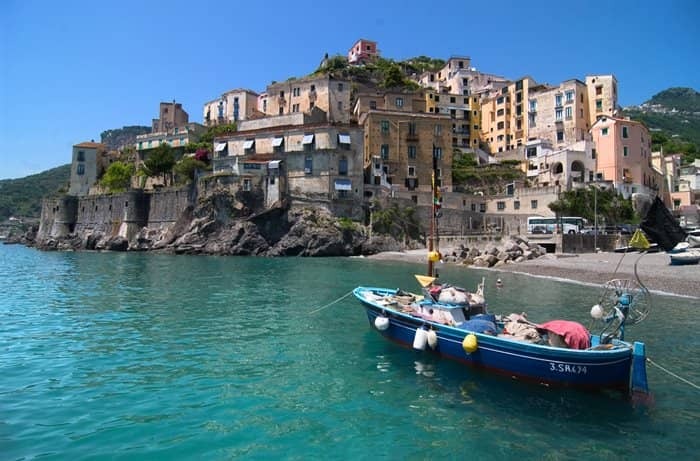 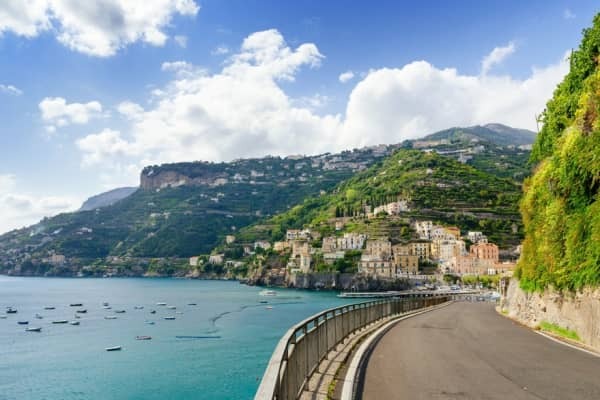 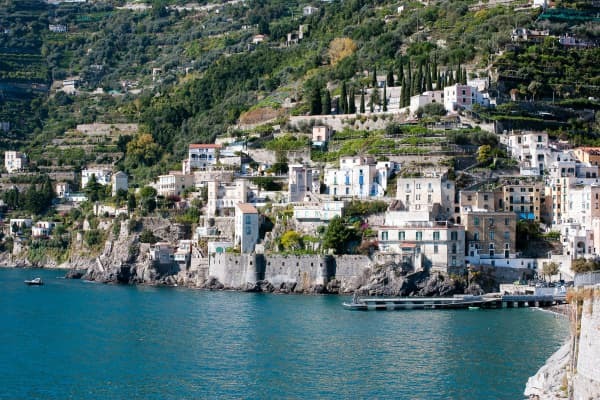 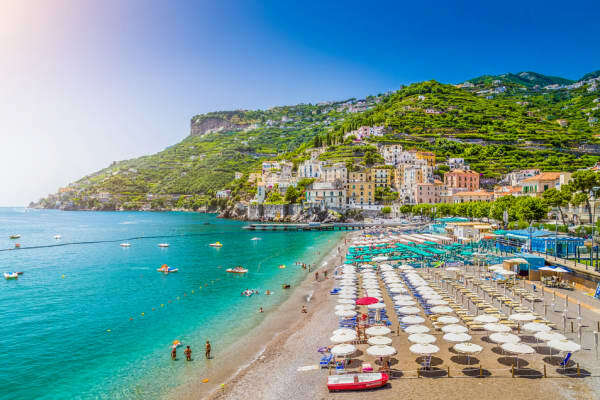 The charming resort of Minori, just over 1km from Maiori, is a beautiful, unspoilt village sheltered by mountains behind and the Mediterranean Sea lapping at its shores. 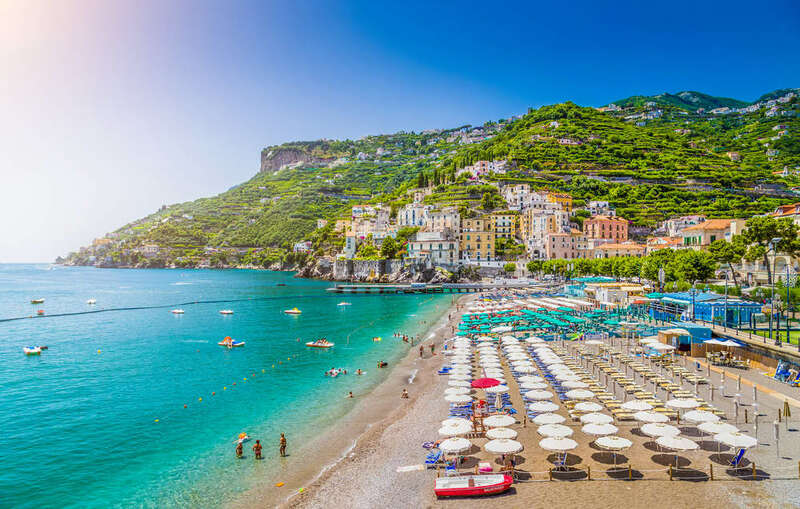 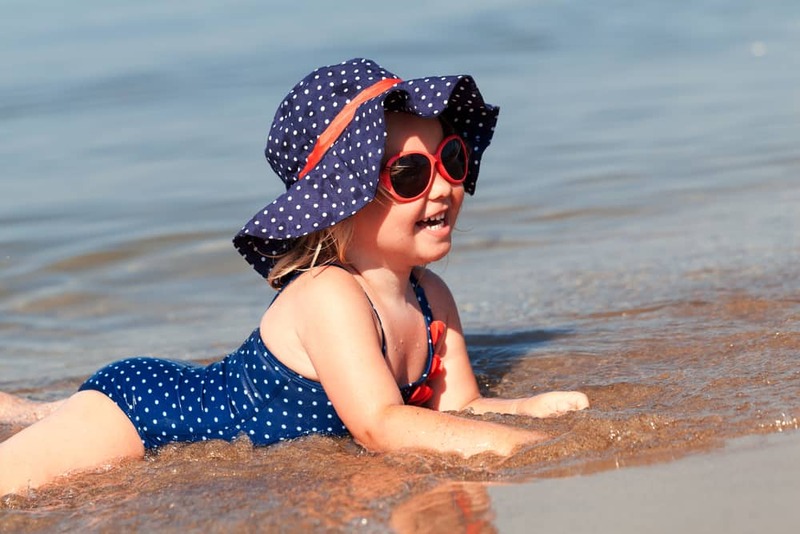 This is a perfect getaway for anybody looking for a secluded little spot with a laid-back atmosphere, where the warm turquoise sea is flecked with fishing boats, deserted mountain paths wait to be explored and traditional cafés and trattorias celebrate the best of Italian cuisine. Santa Trofimena, Minori's cathedral was restored in the 19th century and has three light-filled aisles and a 17th century marble pulpit. 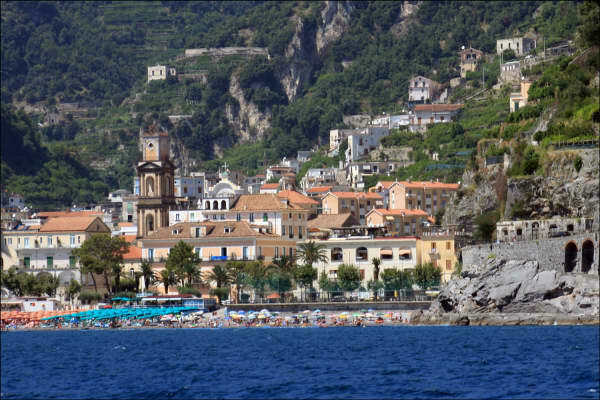 The lower basilica houses the relics of the town's patron saint. 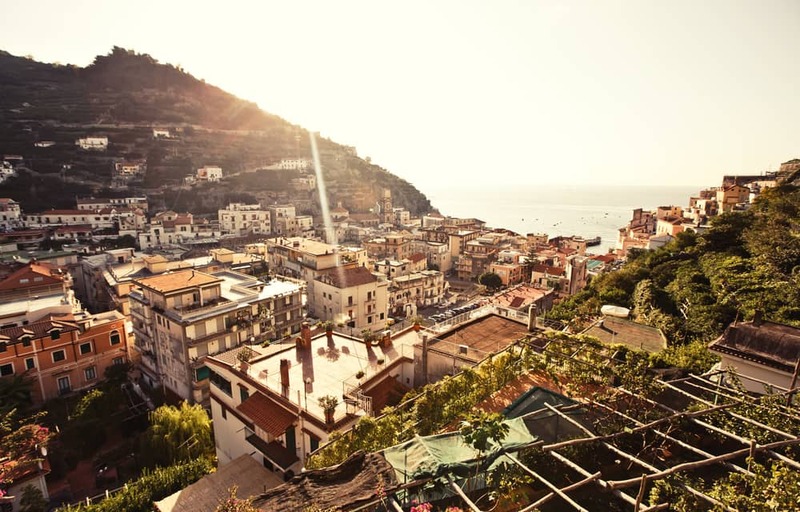 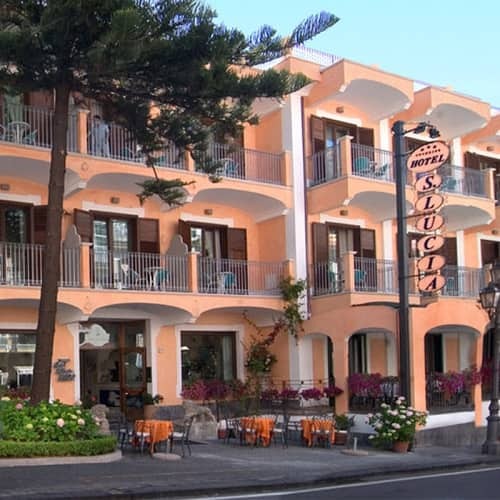 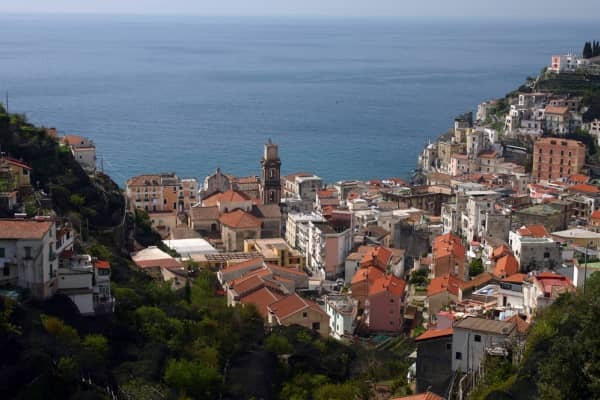 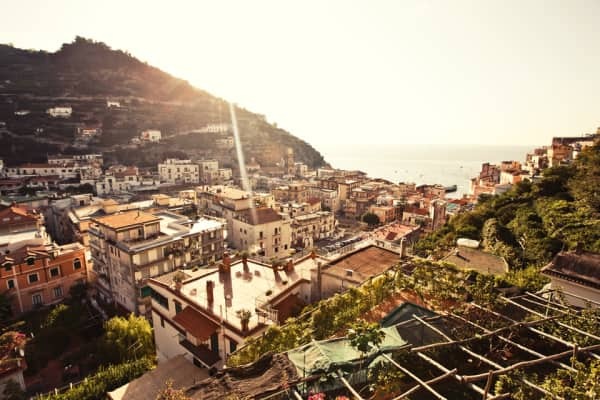 In the 18th century, Minori became famous for its pasta factories and to this very day, tourists come to taste the town's delicious pasta, served in the small restaurants nestled between the town's brightly painted houses.